In today’s lesson, you will continue discussing trees, squirrels, and nuts, as well as the beauty of the autumn colors. You will instruct students on how to make a hand print leaf wreath, as well as a conduct a math skills game and a language activity. Review tree names and facts from the previous lessons to reinforce learning. Discuss animals that hibernate in winter. Explain that the animals must work all through the autumn months in order to gather enough food to last throughout the winter. 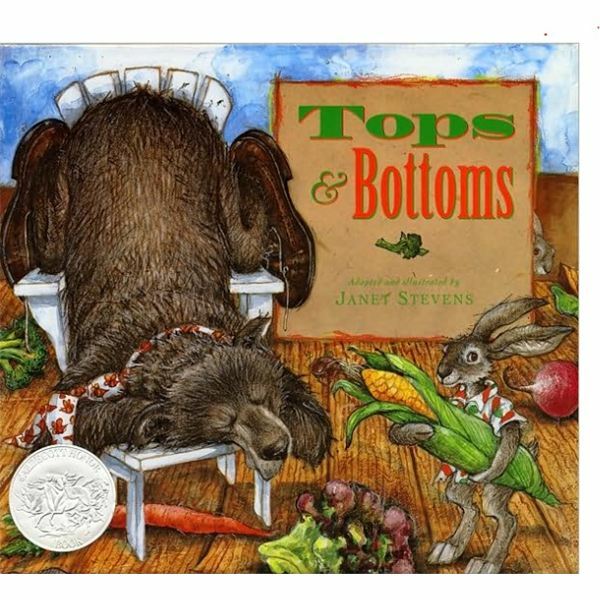 Read the story Tops and Bottoms adapted by Janet Stevens. Discuss the differences between being a hard worker like the rabbit and being lazy like the bear in the story. Display a collection of acorns, pecans and walnuts. Discuss with the children how bears, squirrels and chipmunks gather nuts to prepare for the winter. Provide each child with a Styrofoam bowl to use in “gathering” nuts. Pile the nuts on the floor, then instruct the children to gather the nuts. Who has the most? Who has the least? Who has the most walnuts? The least? Who has the most acorns? The least? Who has the most pecans? The least? Ask children what things they would collect if they would go into hibernation. Why? Record their answers on a chart. Keep the chart for later reference. Continue on to Friday’s lesson, the fifth and final lesson in this unit.